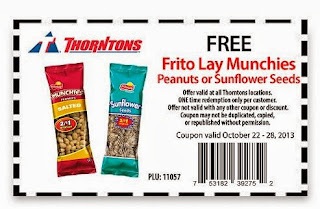 Get a free bag of Sunflower Seeds or Peanuts @ Thorntons. Just click the link below to go print the coupon. Take your coupon in to your nearest Thorntons location. Redeem your coupon by 10/28/13.